If you are here, it is pretty obvious that you love coffee. After all, coffee is one of the most popular beverages across the globe. However, not everyone enjoys that energy boost that coffee gives them. Coffee, as you no doubt know, contains caffeine. It is that caffeine content that gives you that pick me up that you need to get moving in the morning (or even the afternoon). Some people, though, whether due to health reasons or just simply personal choice seek to limit their caffeine intake in a given day. For them, decaffeinated coffee is an excellent way to still enjoy that cup of joe without ingesting that extra caffeine. But how much do you really know about decaffeinated coffee and how it is made? My guess isn’t much. To be honest I didn’t even know a lot about it until I started researching for this article, as I’m a regular coffee kind of guy. This may sound like a silly question, but you would be surprised how many people really don’t know. Decaffeinated coffee is regular coffee that has gone through a process to remove almost all the caffeine from the beans. In most cases, about 97% of the caffeine will be removed. The end result is a cup of coffee that won’t give you that morning pick me up or any of the other side effects, both good and bad, that you get from drinking a beverage that contains caffeine. So how is decaffeinated coffee produced? There are a few different processes, although most of them are, in the end, very similar to one another. Basically, the coffee beans are washed in a solvent that is usually made up of water, organic solvents or carbon dioxide. 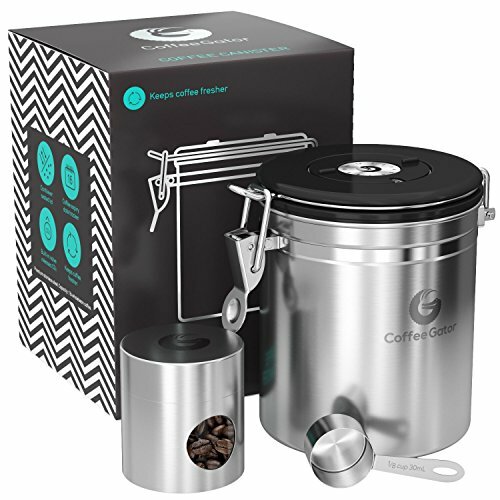 This solvent slowly removes the caffeine from the beans with the end result being a beautiful coffee bean that is caffeine free. This process occurs at the very beginning, before the beans are ever roasted and/or ground. Here at Roasty Coffee we always recommend you buy whole bean coffee, and that recommendation extends to the decaffeinated coffee bean variety as well. This is the big one. Most people are very picky when it comes to their coffee, so if they decide to switch to decaf coffee that want to make sure they get a coffee that tastes very similar to the regular caffeinated variety. I will tell you, that the decaf process does impact the overall smell and taste of the coffee. More often than not decaffeinated coffee will have a much milder taste and smell compared to regular coffee. So how do you get around this? In my opinion if your decaf coffee is too mild in both smell and taste, you should go with an overall stronger bean that has been decaffeinated in order to better reach that level of strength you are looking for in a cup of coffee. You may have to experiment when you first switch to decaffeinated coffee at first. However, with the right roaster and source of beans you should be able to find decaf coffee that tastes very similar to that regular cup of joe you have been enjoying for so many years now. It is important for you to remember that just because it is called decaffeinated coffee, doesn’t mean that there is absolutely no caffeine in it whatsoever. While the process they use to make the coffee does wipe away most of the caffeine, some always remain. The amount of caffeine will vary from coffee to coffee. However, you can pretty much bet that the amount of caffeine in your decaf coffee will be somewhere between 0-7 mg per cup. To put that into perspective, the average cup of regular coffee contains somewhere between 70-140 mg of caffeine per cup. As you can see, almost all the caffeine is removed. Still, if you are looking to completely eliminate caffeine from your diet, unfortunately, you are going to have to give up your daily habit. But if you want to almost eliminate it, then you can stick with your cup of decaf coffee every day and you will ingest very little caffeine. We have already learned that coffee does have many health benefits, and it turns out that those health benefits aren’t eliminated just because you switch to decaf. Like regular coffee, decaffeinated coffee is loaded with nutrients your body needs and it is filled with antioxidants that you need for a healthy life. However, there are some differences between regular coffee and decaf. For example, decaf coffee can have up to 15% lower amounts of the antioxidants hydrocinnamic acid and polyphenols compared to regular coffee. Still, that is not a significant amount in the grand scheme of things. So if you are looking to lower your caffeine intake, don’t think you will have to completely give up many of the health benefits in coffee. Like regular coffee, decaf coffee can actually reduce your risk of developing type 2 diabetes and both types can actually improve liver function and even prevent premature death. 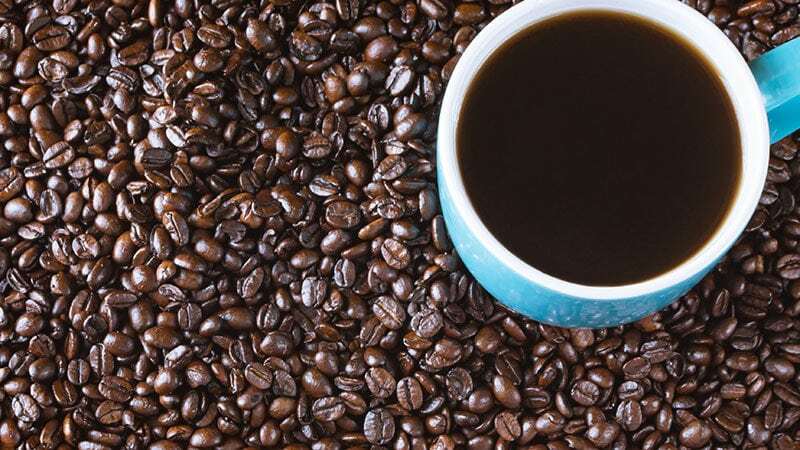 Some studies have even linked both regular coffee and decaf to the reduced risk of developing a variety of neurodegenerative disorders and it could even help reduce the risk of Parkinson’s disease and Alzheimer’s disease. While you don’t get that pick me up effect with decaf coffee, it does seem to have a healthy leg up in two main areas. First, one of the main side effects of drinking coffee is heartburn or acid reflux. When you drink decaf, however, those side effects are greatly reduced. Second, studies have shown that if you drink two or more cups of decaffeinated coffee a day, you will have up to a 48% lower chance of developing rectal cancer. While overall regular coffee does seem to have a bit of an advantage, many of these same health benefits can also be found in decaf coffee and there are even a few additional benefits to add to it, meaning that there are many great reasons for drinking decaf that go far beyond just the desire to lower your caffeine intake in a given day. So the question becomes, who should drink decaffeinated coffee? Should we all do it? Look, if you want to drink decaf coffee, by all means go for it. It definitely won’t hurt you and in some ways it may help you. Still, there are others out there that probably should choose decaf over regular coffee. Some people are just more sensitive to the side effects of caffeine than others. It can leave them feeling anxious and jittery or even keep them up late into the night. Other people such as the elderly or anyone with a heart condition and even women who are pregnant should look at avoiding caffeine to reduce any potential side effects with their conditions from occurring. For these people, decaffeinated coffee is simply a great alternative to giving it up altogether. Now you understand the difference between regular and decaf coffee, and not just the superficial details about it either. Knowing this can help you find the perfect decaf coffee if you decide to reduce or even eliminate your caffeine intake each day. Remember, just because you want to limit your caffeine, doesn’t mean you have to give up your favorite cup of coffee. While you may have to experiment to find the perfect decaffeinated coffee, I encourage you to keep searching until you find one that you like as much as your regular cup of joe. While caffeine is considered relatively harmless, there are still many people that want to reduce how much they have in a day, and there is nothing wrong with that. Finding the right kind of decaf coffee can be the key for all coffee lovers to reduce their caffeine while still getting to enjoy a great cup of coffee. Just because its decaf doesn’t mean it is bad, but you will have to try different kinds to find one that isn’t too mild both in smell and flavor if you hope to stick to it. Are you ready to reduce the caffeine in your diet? Then why not start by beginning your search for a great cup of decaffeinated coffee today.